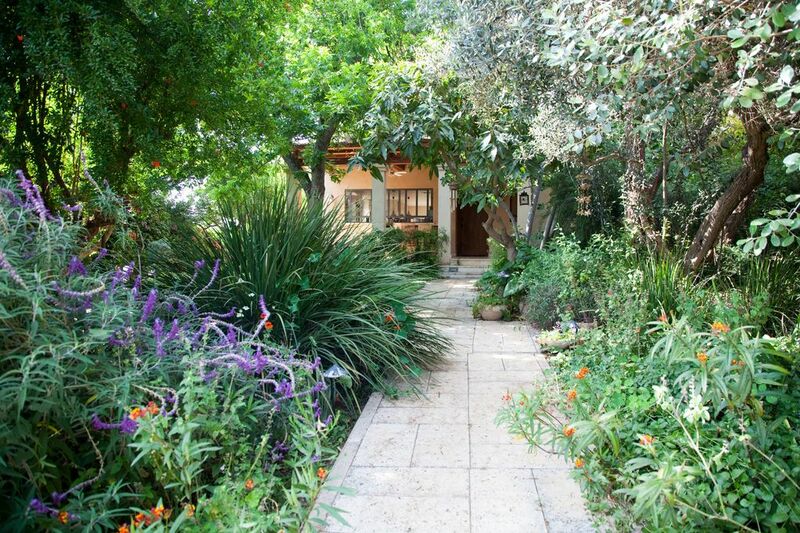 Our beautiful house is located between strawberry fields and orange groves and yet only 15 minutes driving from the sandy beaches of Tel Aviv and 5 minutes from Raanana . There is ample parking space outside. Entering the house there is a porch overlooking the garden where we usually entertain friends or enjoy breakfast while listening to the birds on the trees. At the back garden there is a gazebo where we like to sit in the evenings and watch the sunset. We love our house and we live in it. We rent it out when we travel and make everything possible for our guests to have the most enjoyable stay. We just returned home from our first trip to Israel without being on an organized tour or staying in a hotel. We rented this beautiful home for 10 days and used it as the base for our adventures each day. Hod HaSharon is a great location from which to travel to all parts of the country with easy access to all the main roads. The house itself is lovely and comfortable and provided the perfect place to rest after our long days of touring. The kitchen is great, the bedrooms are comfortable, and the bathrooms are very nice with all the amenities. The house is comfortably and tastefully furnished and located at the end of a quiet street next to a farmer's field. We enjoyed quiet mornings sipping our coffee amid the flowers and birds in the back yard. The owners of the home could not have been more friendly and helpful to us during our stay! We highly recommend this property for a great vacation. It's been great having you and getting to know your wonderful family. Beautiful, quiet location - a perfect spot from which to explore Israel. The property is located in a very quiet, safe area adjacent to an Orange Grove. Plenty of room both indoors and out. A well-appointed kitchen for any type of cook. All of the basics were also well provided for, hot water, AC if you need it, we didn't. The family outdoor cat was an added bonus. He was very social. The house is located in a residential neighborhood in Hod Hasharon at the very end of a residential street adjacend to a big strawberry field. We enjoyed the easy access with a car to Kefar Sava, Ra'ananna and Herzliyya. Hod Hasharon has one of the best deli's we found - just at the intersection of Derekh Ramatayim and Asaf A-Rofe. Noam and Elisheva have been amazing to us. Very accommodating to our needs, available, caring and their hospitality was noticeable in the house. We enjoyed our 14 days in this lovely place a lot, my husband spent most of the time outside on the lovely porch and Nissim the cat of the house joined us there regularly. It is an experience more in the outskirts of Tel Aviv, rather different than in the city...but depending on the traffic you can be in Tel Aviv downtown in 20 minutes.